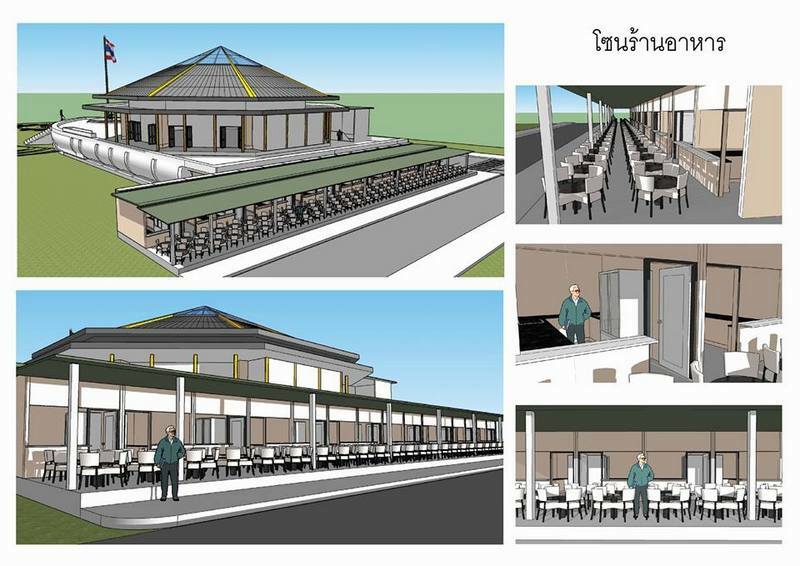 PHUKET: Vendors at the Loma Food Centre have until April 30 next year to vacate the building so Patong Municipality can begin redeveloping the building into a monument to honour the late King Bhumibol Adulyadej. The final date was agreed at a meeting between Patong Mayor Chalermluck Kebsup and the final 17 remaining vendors yesterday afternoon (Dec 8). Also present at the meeting was Phuket Provincial Chief Administrative Officer (Palad) Poonsak Naksaena, officials from Damrongdhama Centre (Ombudsman’s Office) and Capt Boontop Lanthong from the Office of Phuket Public Prosecution. “We will turn the building into a new landmark,” Mayor Chalermluck said. 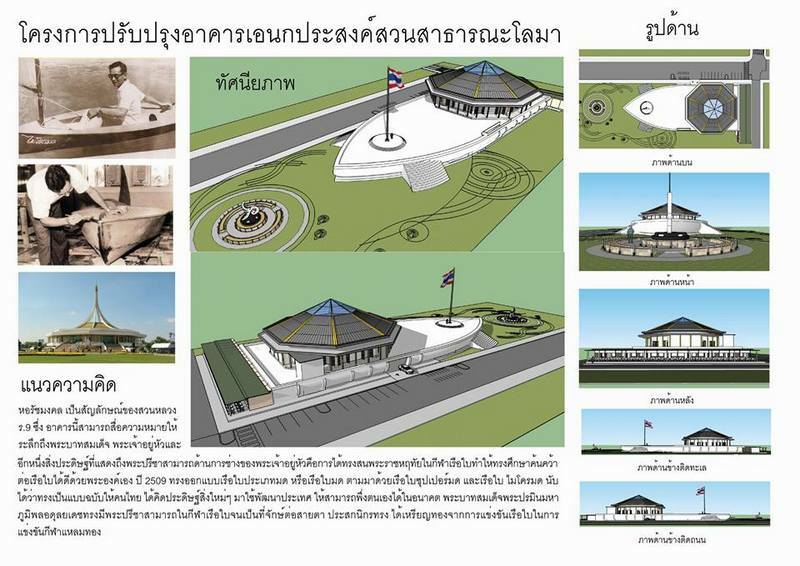 The new building will be in the shape of a “Micro Mod” boat, which is a dinghy that the late King Bhumibol designed and made by hand himself, she explained. Vendors may continue to use the building until April 30, Mayor Chalermluck said. “But they must clear away everything at the end of each day. They cannot leave anything behind,” she said. 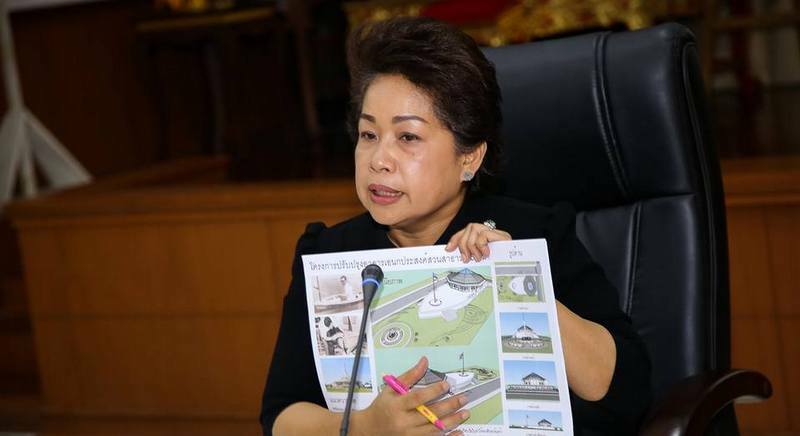 After the building is complete, Patong Municipality will find a location for the vendors to set up again, she added. Of the 17 vendors present at the meeting, 16 agreed and one disagreed with the resolution. @yvonne: You are right, people like "street food", but there is no shortage of places to find it. Especially in Patong there are street vendors on most corners, plastic chairs appear in front of any large store once it closes for the evening and mobile vendors constantly patrol every street. Plus there are plenty of markets and dedicated areas for these vendors.